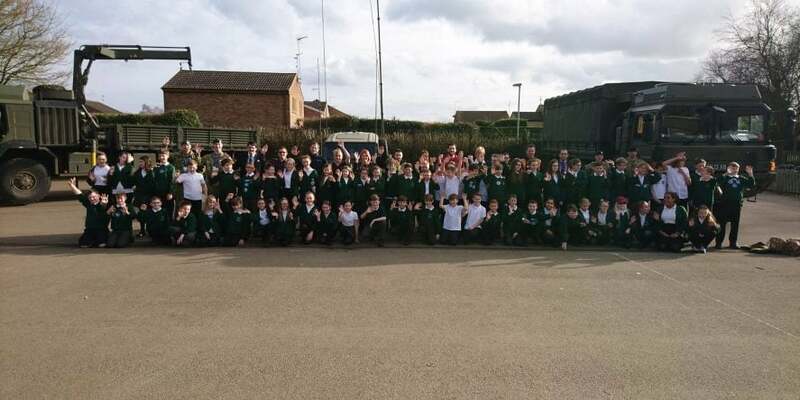 On Wednesday 1st March, Year 6 children from Linchfield Community Primary School had a careers open afternoon. The Careers Awareness event, which was organised by Hazel Cottrell of Creative Content Company, was jam packed with lots of business people who came to share their work experiences with the children. Apart from a few exchange of emails Hazel organised the whole event with teachers having to do very little to put this amazing afternoon together. During the afternoon, the children had an opportunity to speak to a range of professionals who were involved in a variety of jobs. Children learnt what it is like to work in particular industries or what it was like to own your own business. The children met a nurse, policeman, accountant, carpet fitter, warehouse supervisor, business owner, dog groomer, prison worker, boxer, office manager, wedding car hire owner, and people from the Army and Royal Air Force. The children got to ask many questions, had opportunities to carry out some activities from trying on boxing gloves, carrying out CPR led by a local nurse, climb on army vehicles, be locked in the back of a police car and try out some electronics. The careers awareness day was thoroughly enjoyed by both children and staff and the children were inspired by the people they got to talk to and came away with what it is like to be in the work place and ideas for future careers. We can’t wait to hold the event again next year and hope it becomes an annual event in our school calendar.